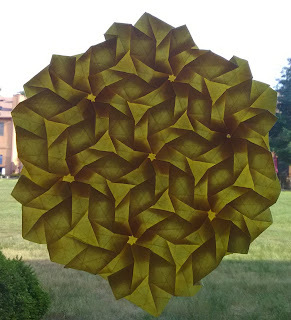 This tessellation was inspired by one of Lydia Diard's designs. Her website has some really amazing tessellations as well as tutorials for some. Just google her name. Hers is a little different from this one, but most of the idea credit goes to her. I just kinda took her design and did it a little bit backward. I really like how the back and the front give such different results when backlit. 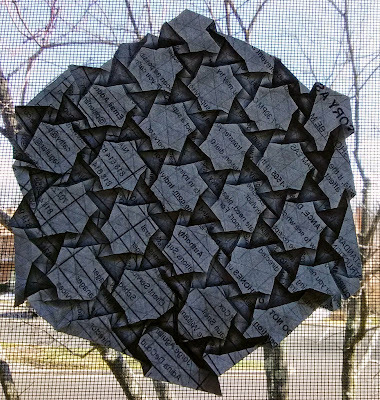 It's looks like two different tessellations, but it's actually just one. 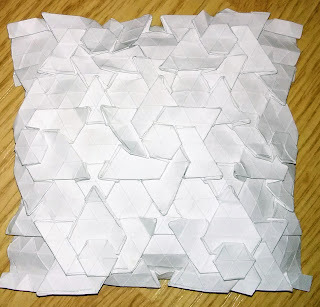 A small hexagon at the center of a 32x32 triangle grid. Then there are rabbit ear triangle sinks to create the star points off of the center. This is more easily visible from the second photo. This central design is simply repeated. 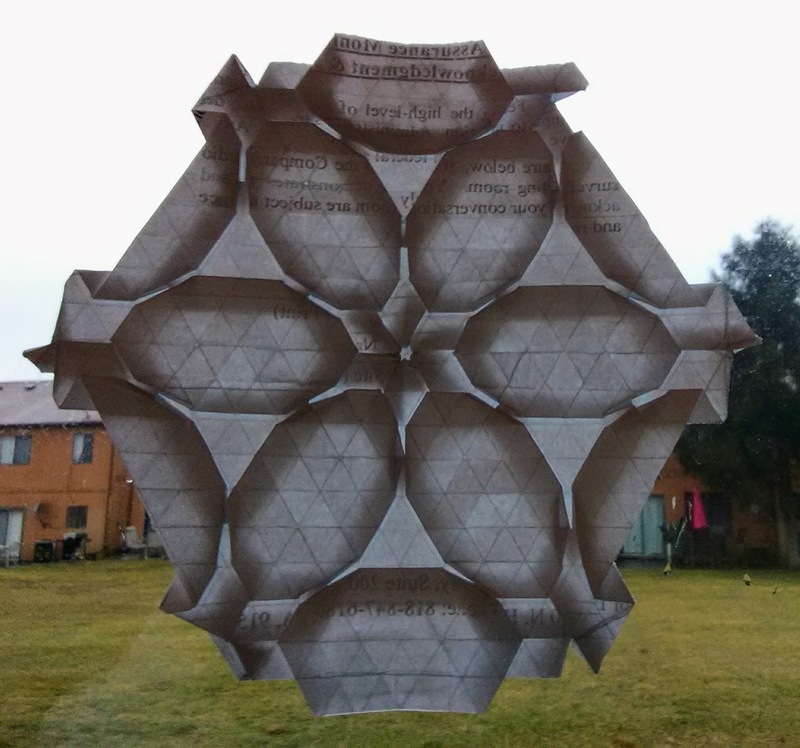 It would fit nicer on a 48 fold grid, but my paper was not large enough for that. So the repetitions are only partials. Still.... the one side (first image) backlit comes out looking pretty well finished. Go figure. In the second image it's a little more evident that the outer stars need more paper or more pleats to be completed. At any rate... it all turned out rather nice. 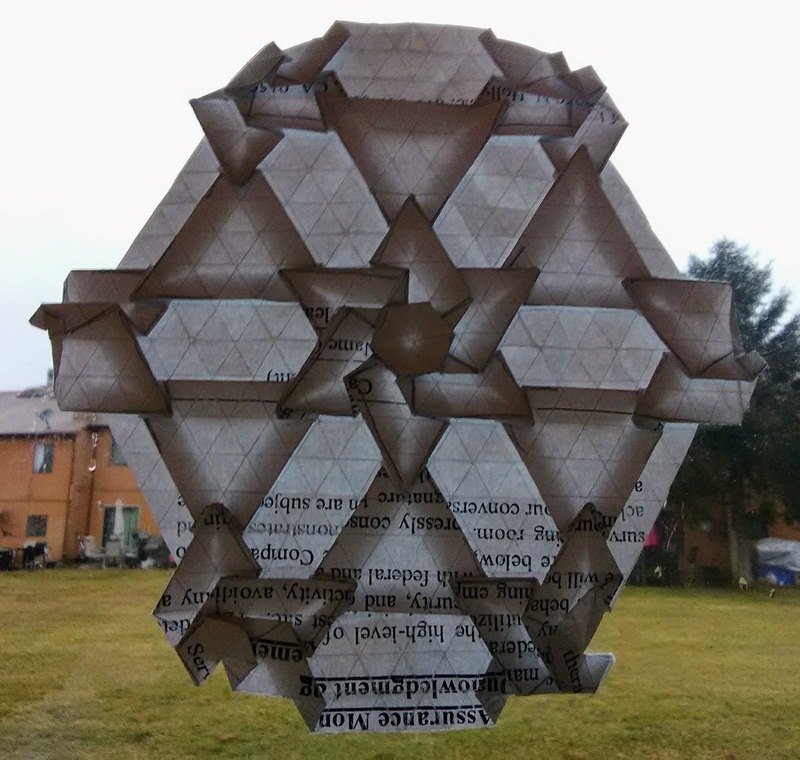 And was interesting to figure and fold.